Germany is known to be the cash country, but according to a study by the Deutsche Bundesbank (central federal bank of Germany), among 18 to 24-year-olds, the share of cash payments has fallen from 69 to 44 per cent PayPal is the preferred payment method of digital consumers. And in many cities, contactless payment methods are not only possible in supermarkets or fashion stores, but also in public transportation. “I had no cash”, is no longer a good enough reason to ride the subway without paying in Munich. Whether locals, newcomers or tourists: Smart shoppers increasingly want to be able to pay contactless with a smartphone or smartwatch. It’s fast and simple. So easy that the shopping experience is even more positive – because even queues will be able to process more people in a shorter time. In this context, once again, it pays to look to China, where mobile payments have become a norm. Through QR codes available at every market stall, anyone can make small transactions with Alipay or Tenpay (the e-wallets from Alibaba and WeChat). It is not surprising that 82 per cent of the sales of the last »Singles Day« was generated on the go. But the Chinese are taking a few more steps with Alibaba in particular: In order to simplify and secure the payment process, they have tested biometric procedures with face recognition (called smile to pay). We once wrote on Handelskraft that individual store branches still play an important role in the digital world. However, to meet the wishes of smart customers, they would have to be technologically modernised. 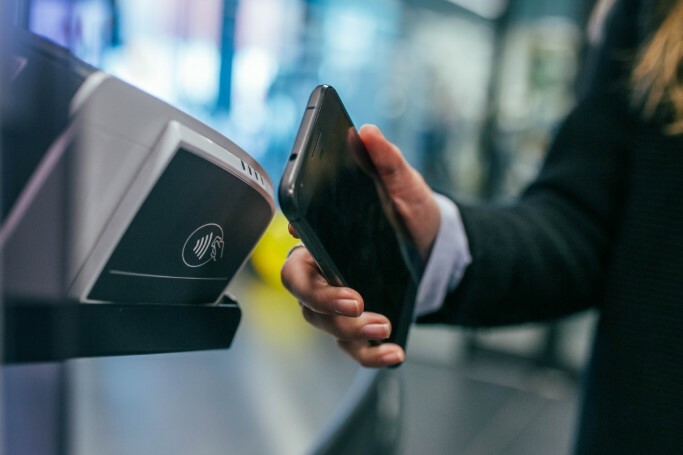 Mobile payments will automate the payment process and make the entire shopping experience smoother – and ultimately make stationary retail more attractive again. NFC technology makes it possible to pay easily at the cash register. According to euro card systems, around 475,000 NFC point-of-sale terminals are already in use in Germany. About 60 per cent of all POS terminals. This number continues to increase. By 2020, NFC technology is set to become the standard. Just like Alibaba and WeChat, Google and Apple have recognised the potential of mobile payments even becoming the standard. Google Pay and Apple Pay have been available in the US and other countries such as the UK or Spain for several years. Germany was the exception until now. The goal was originally to use the smartphone as a means of payment. 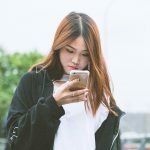 But with the proliferation of Apple’s and Google’s ecosystems, which are integrating more and more new connected and wearable devices, use of any Internet-enabled gadget is conceivable, resulting in a quasi-Internet-of-payments idea. That’s why it’s so important that Google Pay has finally gained a foothold in Germany since the end of June. With this service, you can not only pay with your mobile phone in-store but also on websites and apps. Google Pay can be linked to a Paypal account. But not just the tech giants from California are dealing with the payment revolution: Even traditional banks have responded and worked with tech companies. An app enables Sparkasse customers to pay by mobile. Apple then announced that it has come to an agreement with German banks and will introduce Apple Pay in Germany this year. The beginning of the end of cash? Well, at least a big movement away from it. It remains to be seen how appealing customers will find these new payment options and how well companies will handle them.